Overview: There is a land where unicorns, fairies and other fantasy creatures roam free; behold our Enchanted Garden: a magical world where you can you win a very real fortune and find your favourite fantasy creatures! The fairy princess is the wild symbol in the game that gets you rewarding combos. 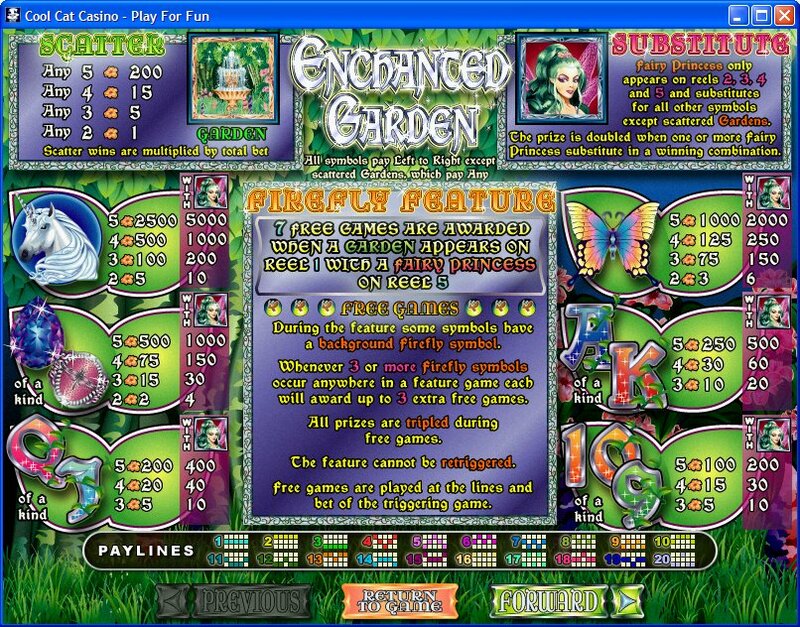 The image of Enchanted Garden is the scatter symbol in the game that gets you the multipliers of up to 200 times. On the free spins if three or more Firefly Rings emerge on the reels, you get three more games. Random jackpot is another engulfing feature in the game that can get amazing off-the reels rewards. 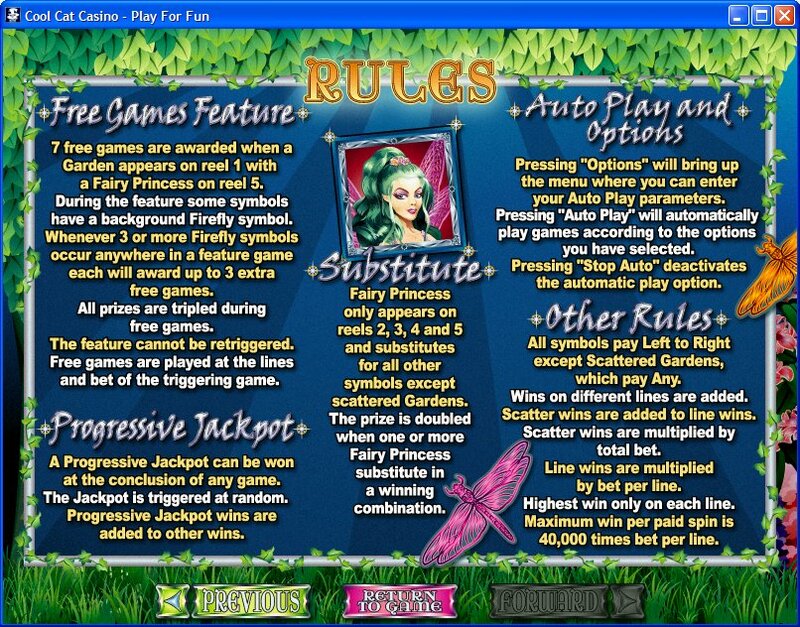 Also, you can raise or reduce the size of your bet on the Enchanted Garden online slot by pressing the bet button. The denomination that you want to play with starts from $0.20, $0.40, $1.00, $2.00 to $5.00, $10.00, $20.00 to $100.00. 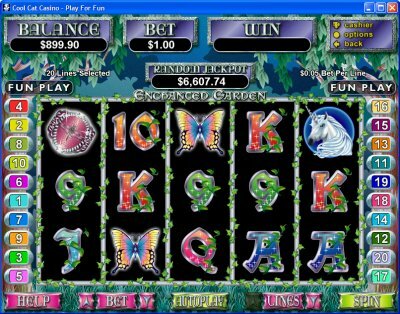 Similar Slots: If you like Enchanted Garden, you might like these other slot machines from RTG: Field of Green, Green Light, Incan Goddess, Loch Ness Loot, Regal Riches, Shopping Spree II.